No matter the question, YOGA is the answer! In 2013, with my youngest son off to preschool and my twin boys settled in elementary school, I began my yoga practice as a way to rediscover myself and to recommit to a healthy way of living. I made my way back to a regular gym schedule as well and became a certified fitness instructor. I found that I was incorporating more and more yoga into my classes - a little series after cycling and adding vinyasa flows and strengthening poses wherever I could. I wanted to learn more, so I went on to get a fitness yoga certification. As time went by, I craved more than just the physical practice, and I wanted to share that with my students. 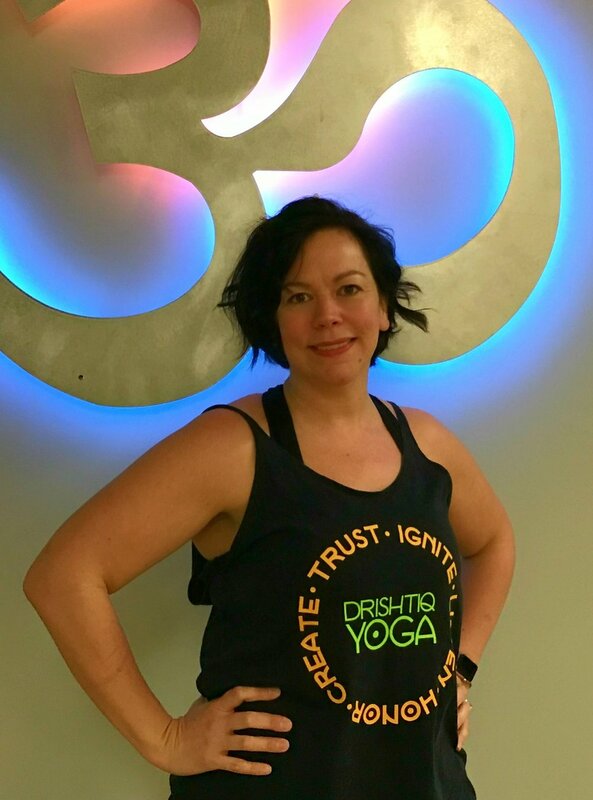 I did a deep dive into all 8 limbs of yoga, and in 2017 I earned my RYT 200 certification from StudioB Yoga Center in Danville, PA. The Universe then decided to put all the skills I’d learned to the test. A fantastic job opportunity for my husband presented itself, so we packed up our boys, now in 7th and 2nd grades, and headed to Cincinnati.